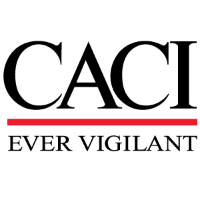 "Newly Awarded Multi-million dollar prime 5 year language contract now Hiring "
If you are working or aspiring to work in today's United States Intelligence Community...NOW is the time to join CACI National Security Solutions! The Intelligence Solutions Team has an immediate opportunity for uncleared Urdu Language Instructors in Augusta, GA (Ft. Gordon, GA area). - Supplement instruction with contemporary authentic material. - For teaching languages other than English: Speaker with native capability in reading, listening and speaking in the standard form of the language to be taught and a minimum ILR proficiency level 2 in reading, writing, speaking and listening in English OR a speak with native capability in English and a minimum ILR proficiency level 3 in reading and listening in the standard form of the language to be taught. Skill levels must be documented within the last 3 years. - Five (5) years experience teaching adult language education and methodology, to include: - Three of the five years experience shall include: - Preparing and presenting face-to-face language instruction within a formal language environment, preferably with a focus on translation, grammar, listening and reading comprehension, speaking and writing. - Six (6) months experience using appropriate language fonts, keyboards, and language training software.